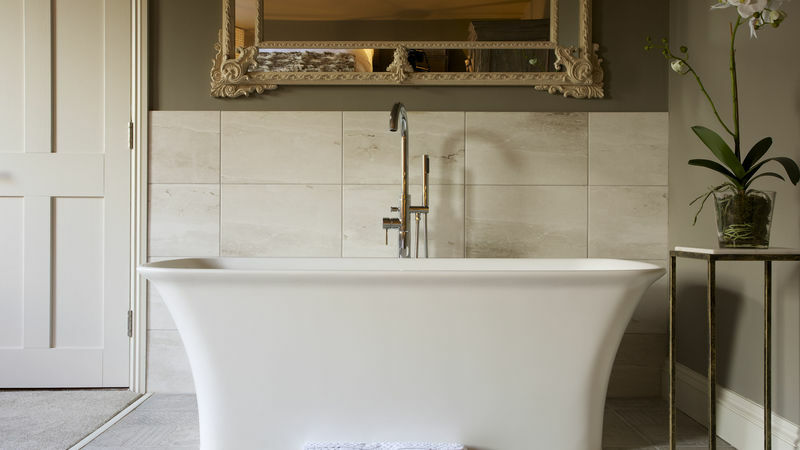 A large, free-standing, contemporary bath takes centre stage in this light, luxurious bedroom. 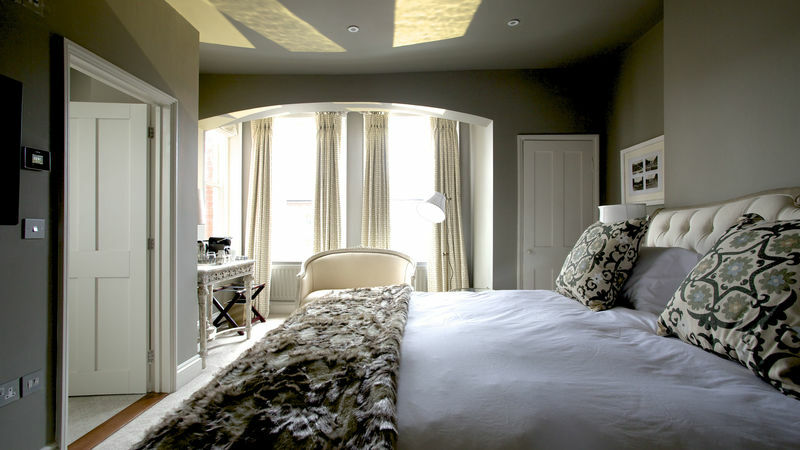 French inspired furniture and deep mushroom walls with beautiful link patterned cream and mushroom curtains are naturally lit by two large sash windows. 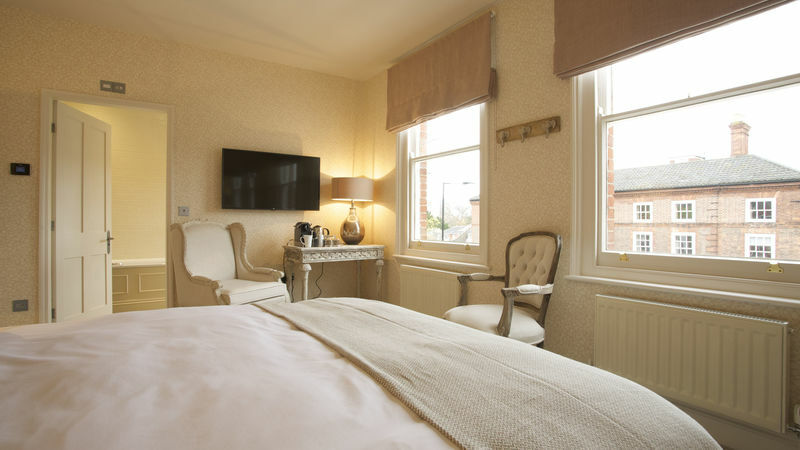 An over-sized, padded headboard, ornate mirrors and a large french chair finish the look whilst wooden shutters and a large walk in shower feature in ensuite. Deep, sumptuous floors and walls give this room a homely feel while 3 large sash widows in the bay window bathe the room in natural light. 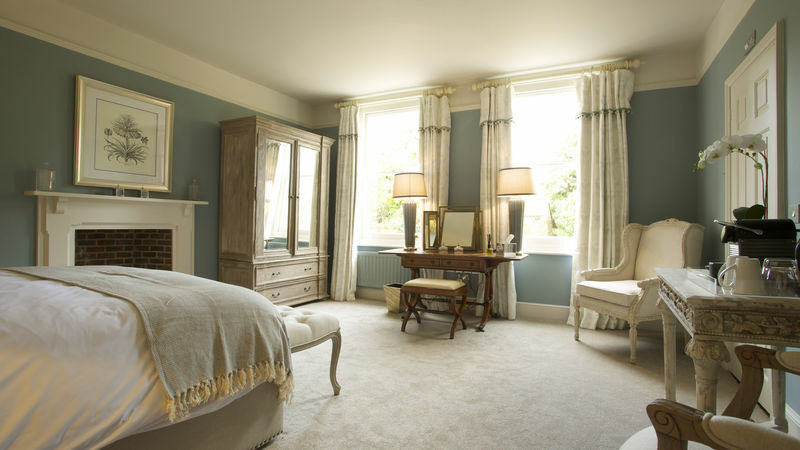 French, washed furniture sets the tone of this beautiful room which is finished with a large sofa in the bay window. 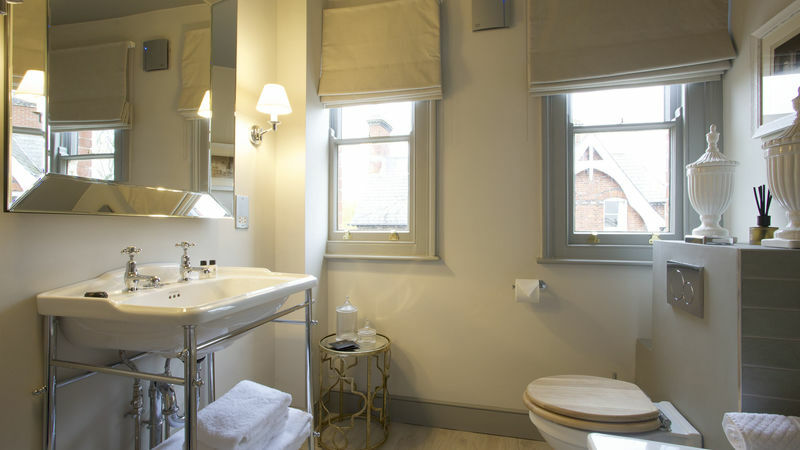 A traditional bath with shower, wash-basin and toilet complete the naturally light ensuite featuring two large sash windows complete with wooden shutters. 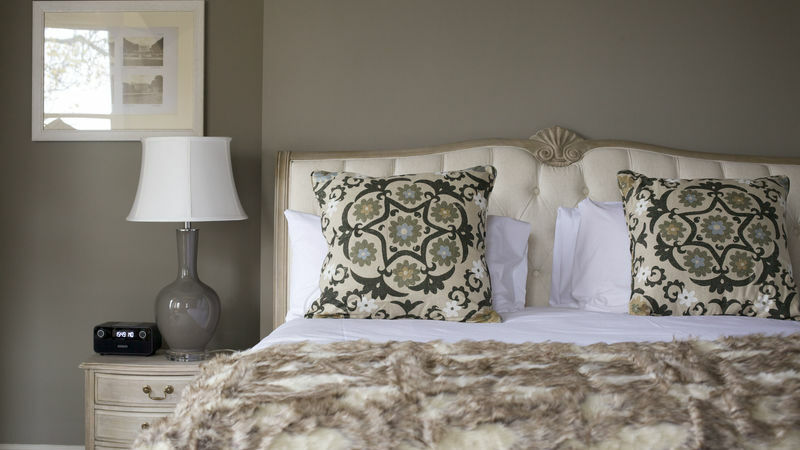 Dusty pink and cream pattered walls and mute linen blinds create a calming ambience in this beautiful, light room; whilst a oversized headboard and fur throw injects an element of drama. 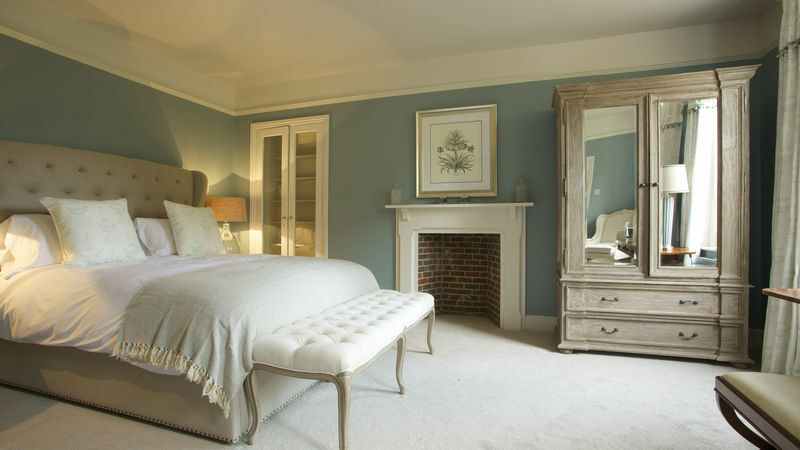 Beautiful, French inspired furniture and mirrors complete the bedroom. 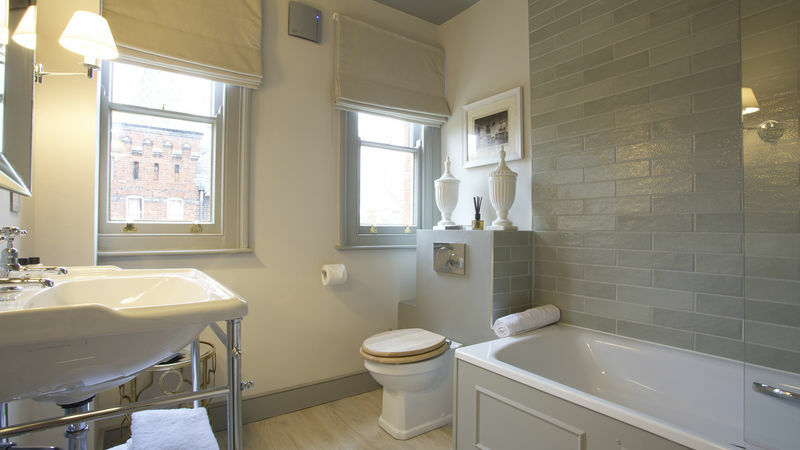 A traditional bath, wash stand and toilet sit on washed wooden floors in the large ensuite with deep cream tiles and linen blinds finishing this simple, calming bathroom. 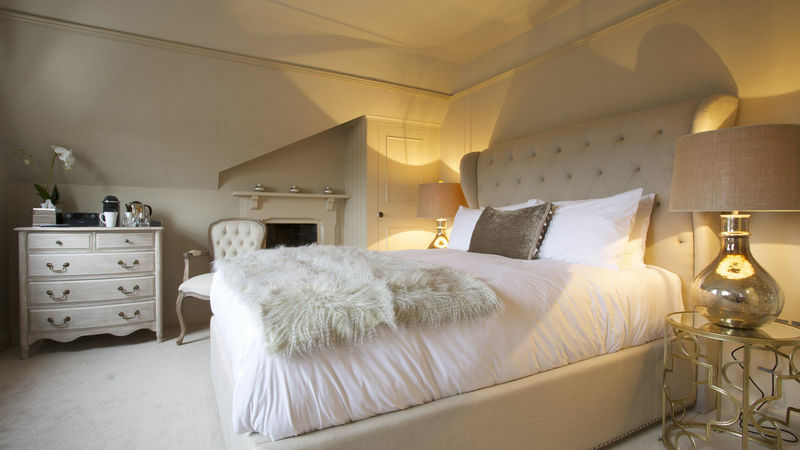 An original Victorian fireplace and original display cabinet feature in this large, glamorous bedroom. Two large sash windows overlook the terrace and gardens whilst French inspired furniture, ornate mirrors and an antique dressing table lace the room with an air of European colonialism. 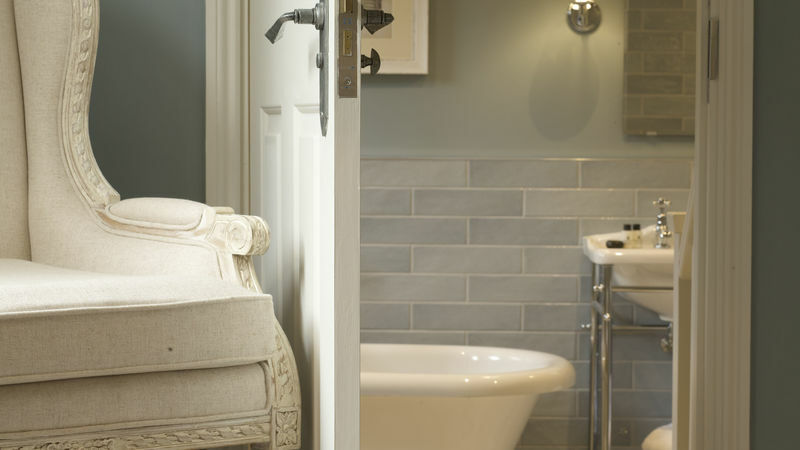 Step down into the unique ensuite featuring a free-standing bath and walk-in shower on marbled floor tiles. 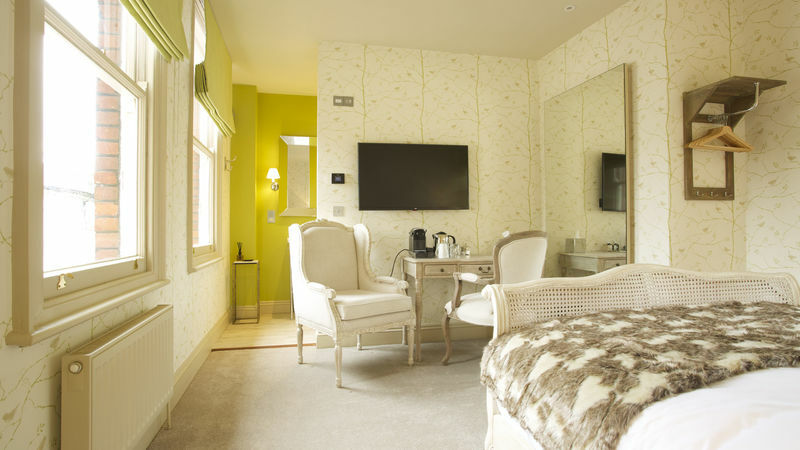 This pale green and cream themed room oozes charm and style, featuring 3 large sash windows and a unique open shower room with a pale wooden floor. 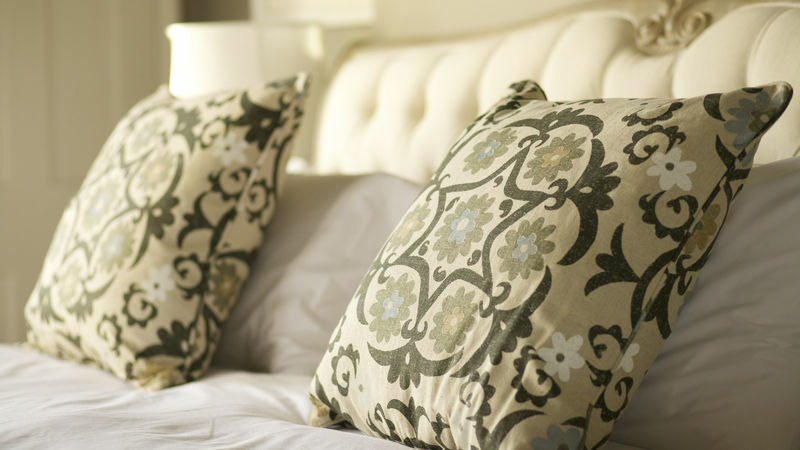 Opulent French styled furniture and accessories fill the room with an air of luxury. Modern green striped blinds finish this charming room. 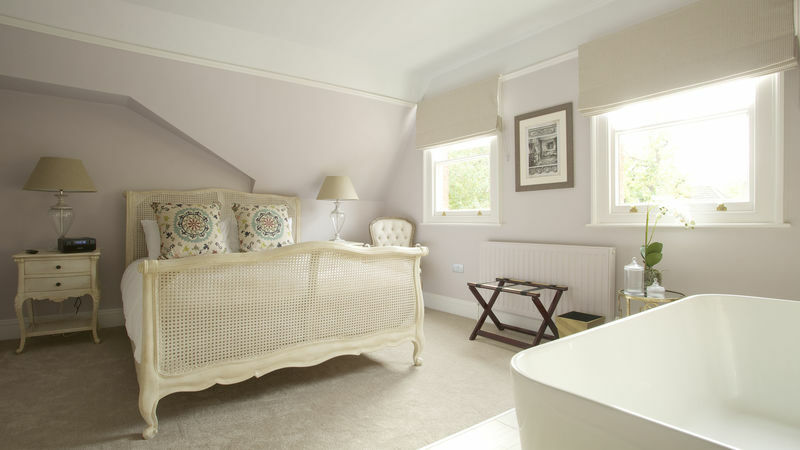 Hints of grey, cream and sweet pea feature in this beautifully light and airy room overlooking the garden and terrace. 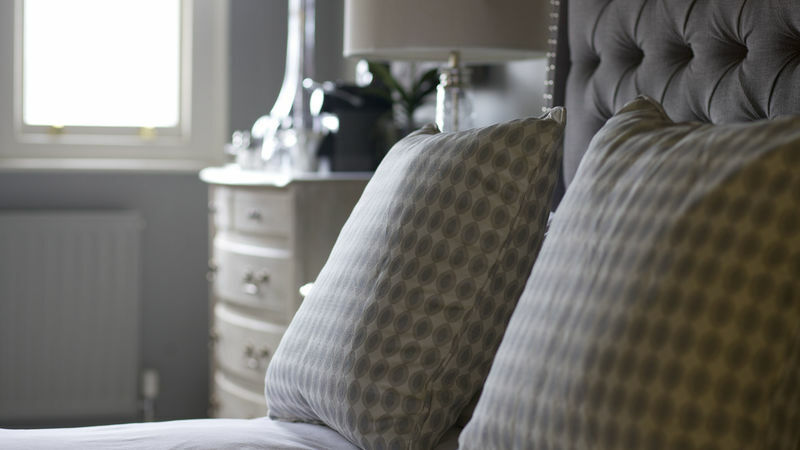 A high back, upholstered headboard and French chaise stand alongside the distressed bedroom suite. 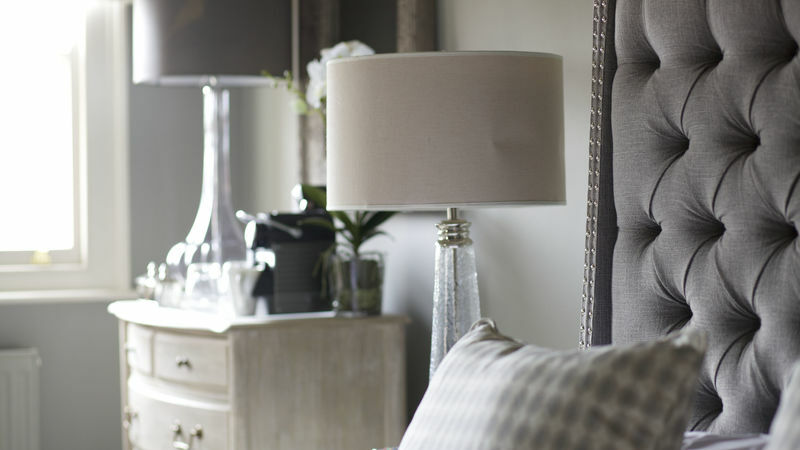 A large walk-in wardrobe finishes this sumptuous room. 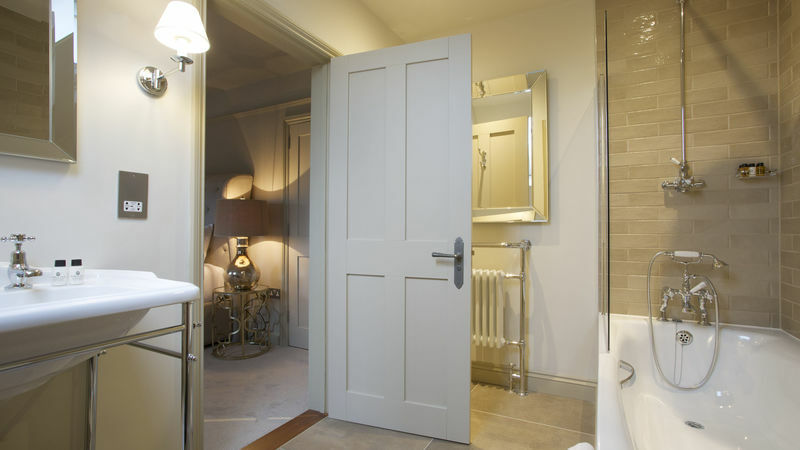 The beautiful ensuite features a traditional shower over bath, soft grey blinds and washed wooden floor. 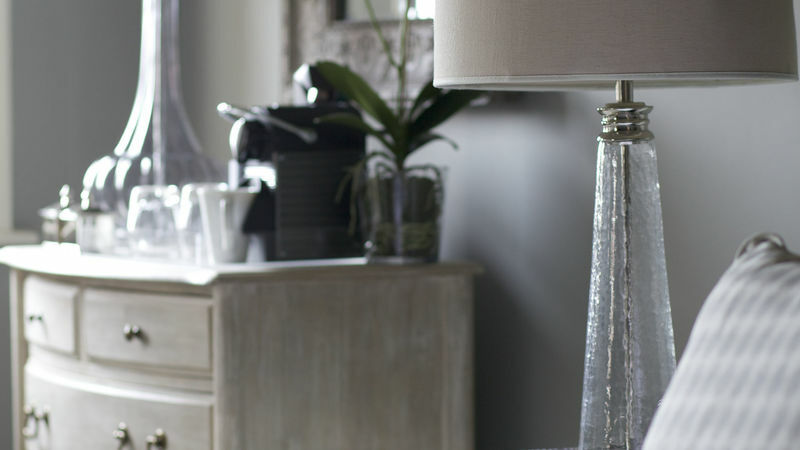 This deep and quirky room oozes opulence with its 49 shades of grey. 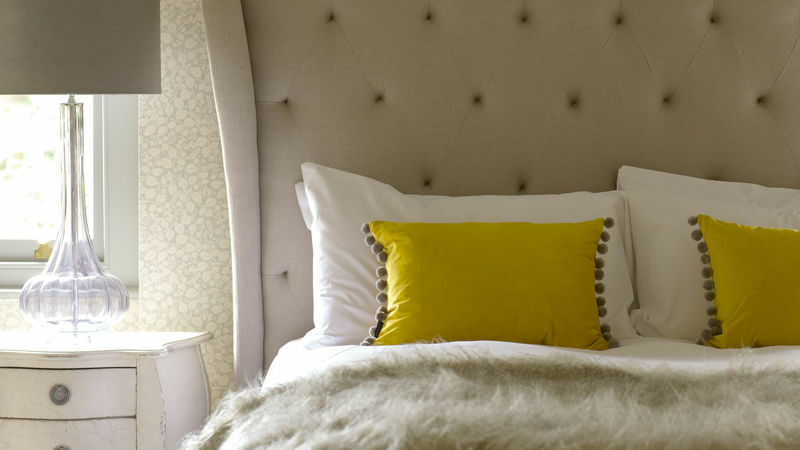 A dark grey, stud and button bed takes centre stage. Distressed, carved furniture sits alongside grey, pattered blinds. 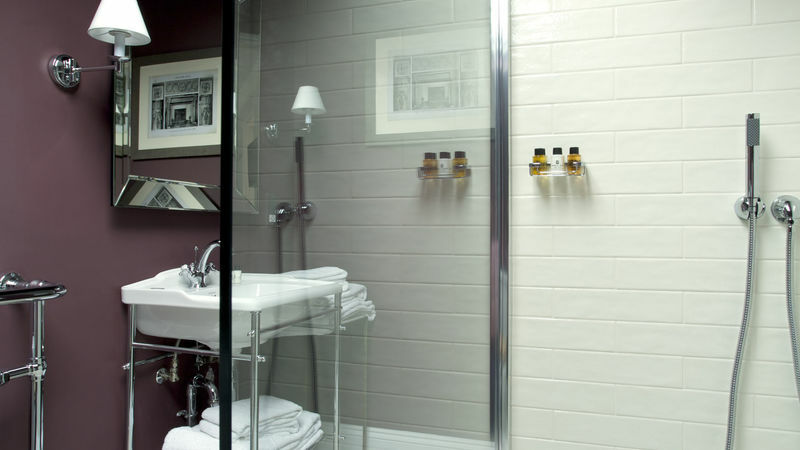 A walk in shower room with a dark wood floor finishes the generously sized, open plan ensuite. 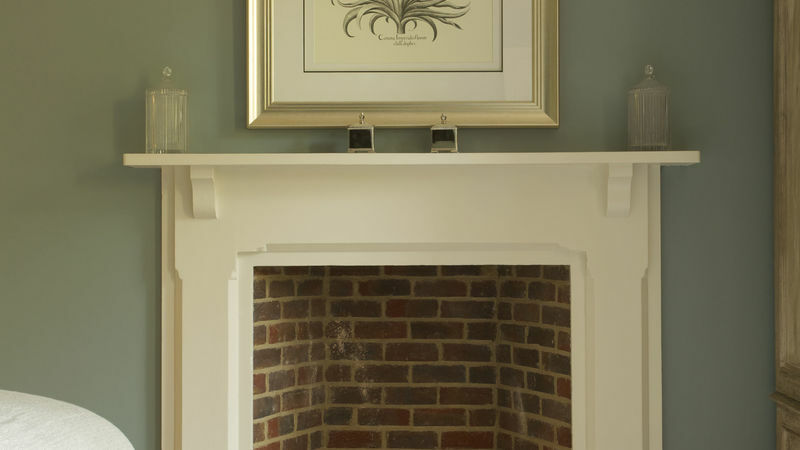 An original fireplace and wardrobe; and detailed stone and beige, clover patterned walls make this room feel uniquely Victorian. An antique dressing table sits alongside beautiful aged furniture. 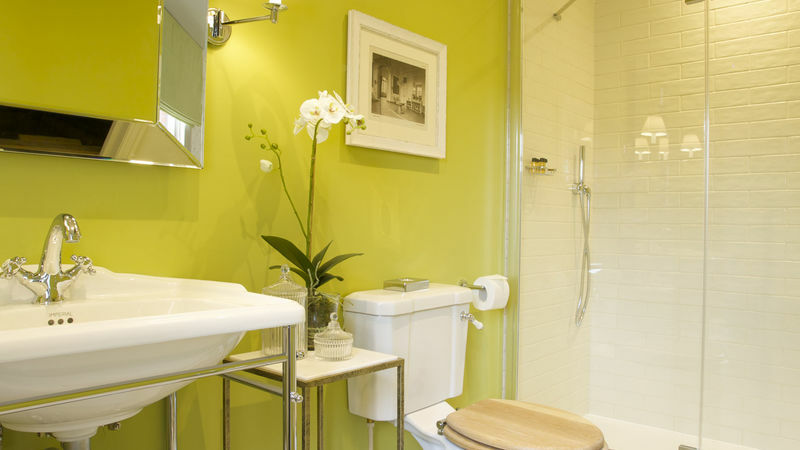 A large, luxurious ensuite compliments the bedroom with a traditional bathroom suite including a shower over bath. 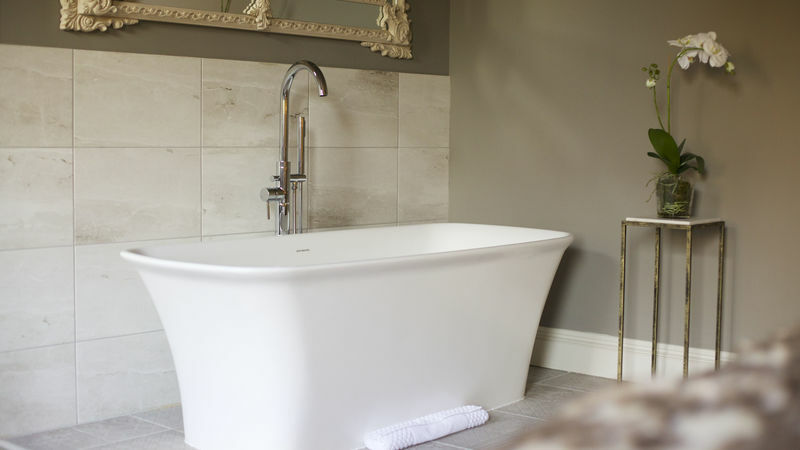 Deep, luxurious floor tiles finish this classic, resplendent bathroom. 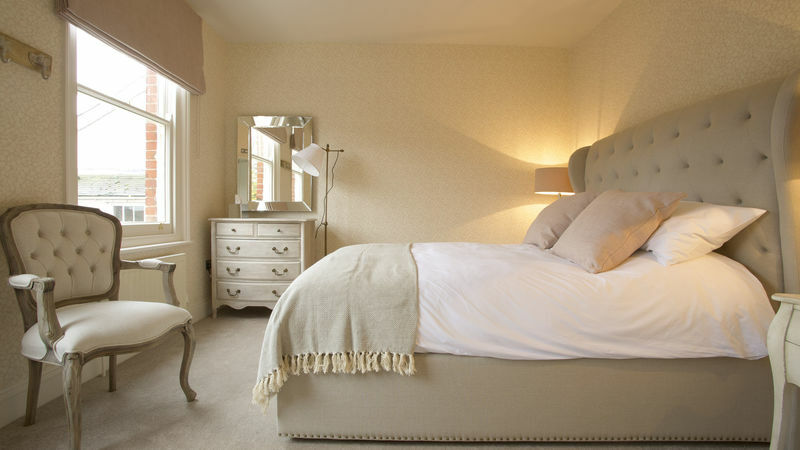 The Templetown suite features two linked double bedrooms. 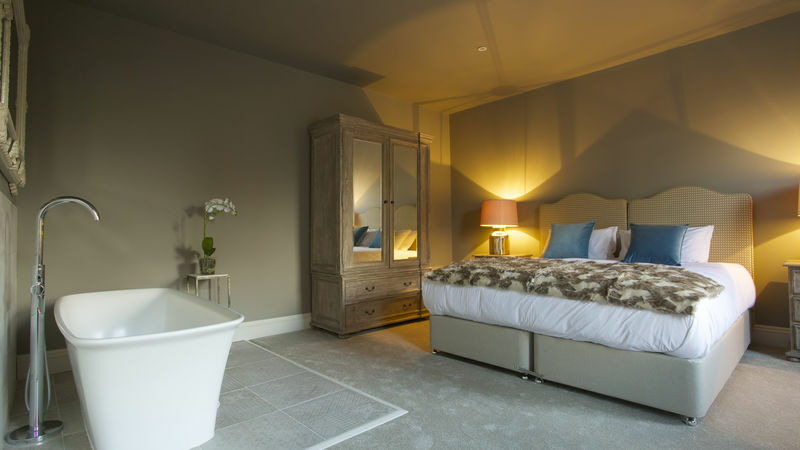 A large, free-standing, contemporary bath features in the main bedroom with an adjoining, deep plumb, split level ensuite featuring large walk-in shower. 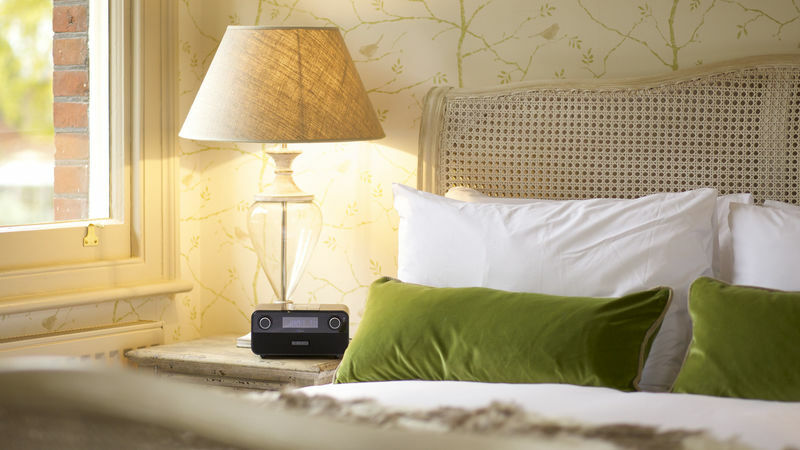 Both rooms feature traditional, aged furniture and luxurious, opulent beds. 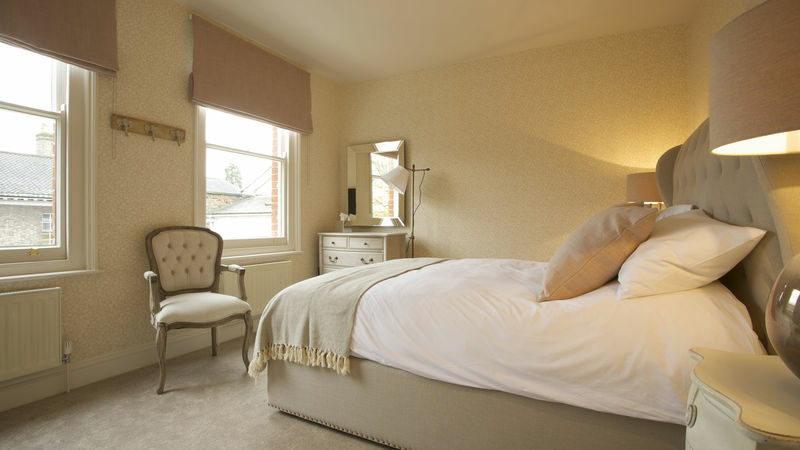 The second bedroom can be configured as a double or twin to suit. 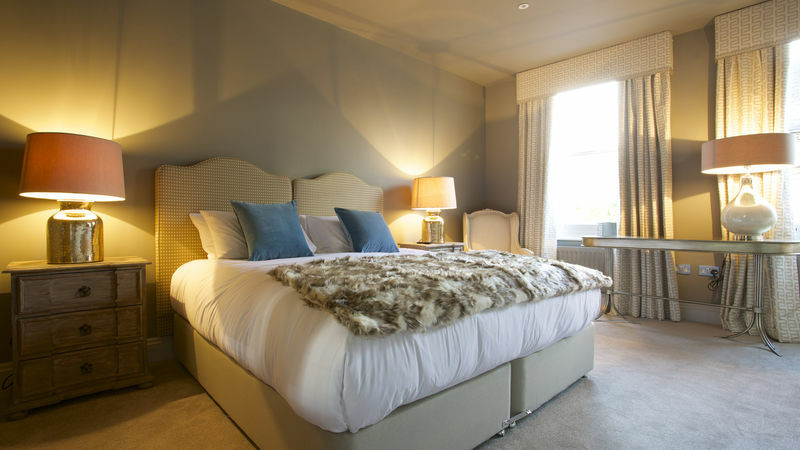 Beat those weekend blues sink into a night of pure relaxation with a loved one, a £60 dinner allocation per couple, a newspaper of your choice and a nights sleep in our luxurious rooms with a late checkout and breakfast. 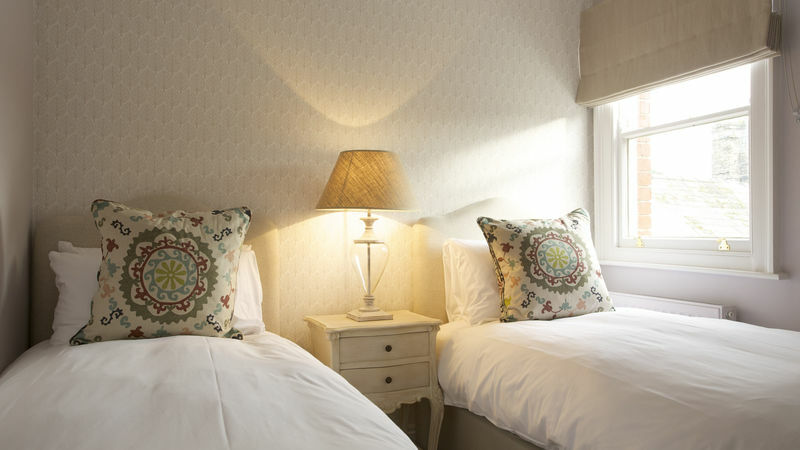 An extra charge of £15 per night will be added to the final bill. 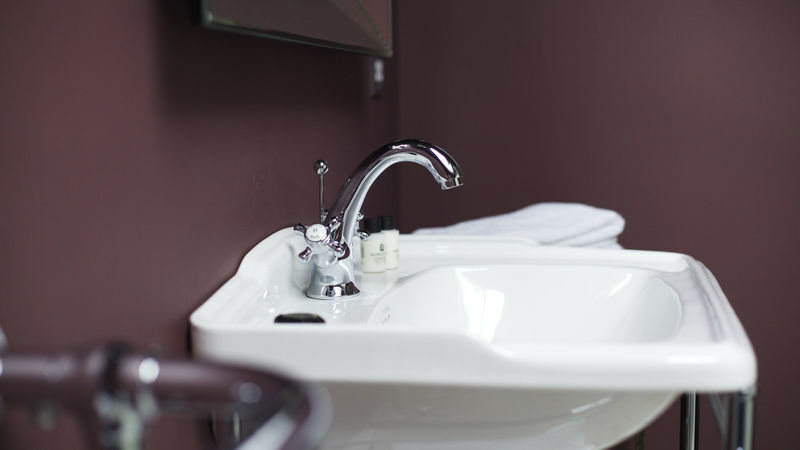 For bookings in excess of three rooms, full payment is taken at the time of booking. Any booking can be amended or cancelled up to 48 hours (12pm) of the arrival date except during the Christmas Market and festive season. If cancelled outside of this period, full payment will be taken. The Northgate, Northgate Street, Bury St Edmunds IP33 1HP.